Blockchain Technologies ETF will begin trading next week on the Toronto Stock Exchange. As the price of bitcoin continues to tumble, exchange-traded fund providers are looking to the underlying blockchain for value as two more providers file plans with regulators to join the sector while Harvest Portfolios gets the green light to launch Canada's first blockchain ETF. Last month, Harvest Portfolios filed a preliminary prospectus with regulators to introduce an ETF that tracks blockchain technologies. Earlier today, the firm received approval by the Ontario Securities Commission to launch the country's first blockchain fund – Blockchain Technologies ETF. With the ticker HBLK, the fund has a management fee of 0.65 per cent and seeks to replicate the performance of the Harvest Blockchain Technologies Index; an index designed in-house to track the performance of issuers in both the large-cap blockchain segment and the emerging blockchain segment exposed to the development and implementation of blockchain technologies in North America. The fund will begin trading next week on the Toronto Stock Exchange. At the same time, two other providers are looking to access the ever-growing popular blockchain technology. Blockchain is an online digital ledger that keeps a record of recent transactions. Once a transaction is completed, it goes into a blockchain database and is kept as a permanent secure record. It is most commonly known as the technology behind the function of the booming cryptocurrency bitcoin – which soared above US$18,000 in December. Both First Trust Portfolios Canada and Evolve Funds Group Inc. have filed preliminary prospectuses with regulators this week for blockchain funds. First Trust is looking to launch the First Trust Indxx Innovative Transaction & Process ETF, which will aim to replicate the performance of the Indxx blockchain Index. With the ticker BLCK, it is the second fund provider to file an index fund with regulators in Canada and, if approved, will have a management fee of 0.80 per cent. "Every conversation we are having with clients – regardless if we are talking about a Canadian equities product or a U.S equity product – inevitability leads to [a discussion about] blockchain or bitcoin," says Karl Cheong, head of ETFS for First Trust Portfolios Canada. "The commentary out there right now is that blockchain is the more viable option while bitcoin may not have as many legs in terms of viability; but bitcoin could be the Friendster before the Facebook shows up in the crypotocurrency space. 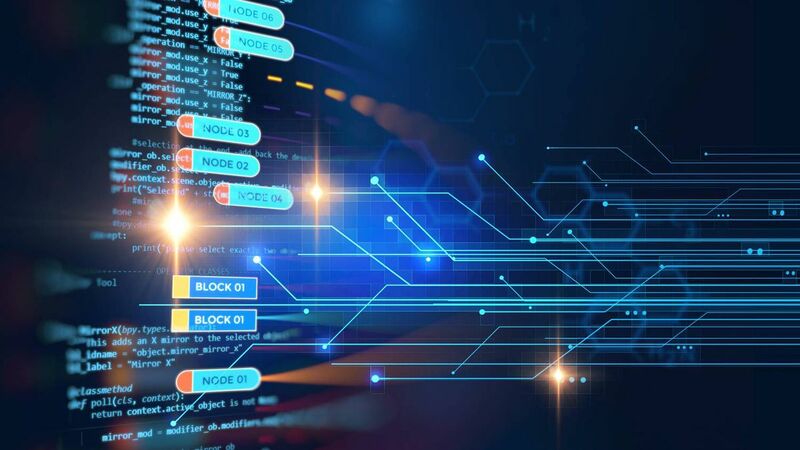 The concept of blockchain is very attractive to investors right now, and while the idea is still very novel, the research shows that this is a technology that could potentially save billions of dollars in cost, and that is very attractive." In the U.S, First Trust already has a Blockchain ETF trading under the ticker LEGR, which the Canadian fund will closely imitate, says Mr. Cheong. Already known for its niche lineup of ETFS, Evolve Funds filed its plan to launch the Evolve blockchain ETF on Thursday, which if approved could be the country's first actively-managed blockchain fund. With the ticker LINK, the fund will aim to actively invest in equity securities of issuers that are involved in the research, development, or utilization of blockchain technologies, or involved in the supply chain for blockchain applications including technology hardware. It will have a management fee of 0.75 per cent. "Blockchain technology is poised to disrupt virtually every business and industry, including financial services, real estate, health care and government," said Raj Lala, president and chief executive officer of Evolve in a statement. "Currently, at the base of every digital currency, many compare blockchain to the second coming of the Internet. I believe we are Canada's first actively-managed blockchain ETF, which will allow us to be nimble and potentially capitalize on emerging opportunities." Horizons ETFs Management (Canada) Inc. – which launched Canada's first marijuana ETF– has been exploring opportunities in the blockchain technology arena since last year. The firm filed for a blockchain ETF in the U.S last fall and is very close to filing with Canadian regulators for a Canadian fund as well, says Steve Hawkins, co-CEO and president of Horizons. "There are a lot of successful companies in this sector, such as Canadian company HIVE," says Mr. Hawkins. 'If you can't invest in cryptocurrencies directly – and we know that they are here to stay and blockchain is here to stay – why not invest in the companies themselves directly because you know there is going to be a future for them."